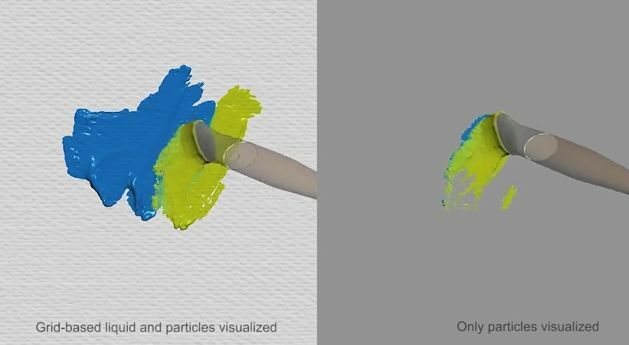 the motions of brush bristles and paint liquid, but also the liquid transfer processes among different representations. We implement the whole system on GPU by CUDA. Our experiment shows that artists can use the system to draw realistic and vivid digital paintings, by applying the painting techniques that they are familiar with but not offered by many existing systems.